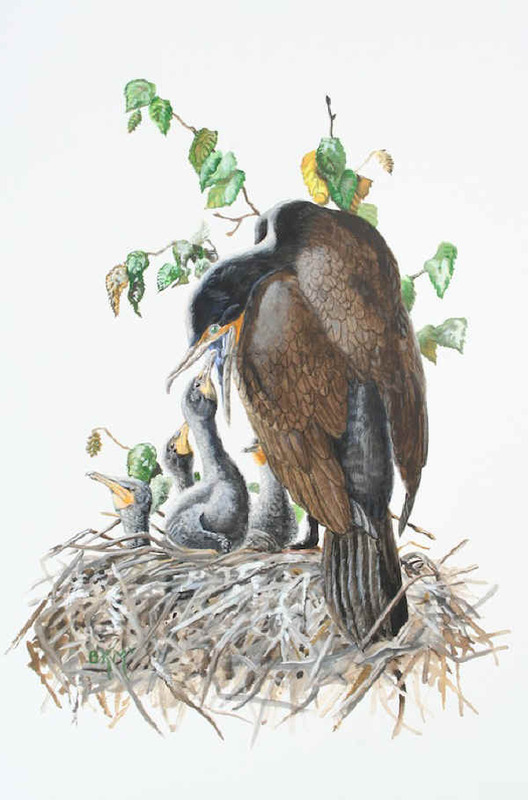 This very small vignette painting shows an adult Double-crested Cormorant, native to much of North America and the West Indies, feeding nestlings who are just a few weeks old, and covered with black down. Both the male and the female are very attentive to the babies at this age, and feed them regurgitated fish. They shade them from the sun, provide water, and one or the other of the pair, if not both, is always in attendance. 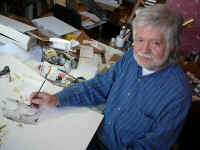 This is a small painting, in gouache watercolours, on paper.